As mentioned in the previous post, this Spring 2015 quarter I updated the Material and Lighting course to focus more on lighting. We had multiple projects where lighting was a bigger factor than previous quarters. After the alley way project, we focussed more on match lighting. In class I would give numerous simple photographs that students had to replace an object in the photo and match the lighting. For example, a group of orange trees and replacing the orange or a kids ball pit and replacing one of the balls. These were great quick exercises for students to learn how many lights are need in 3D to recreate real life. 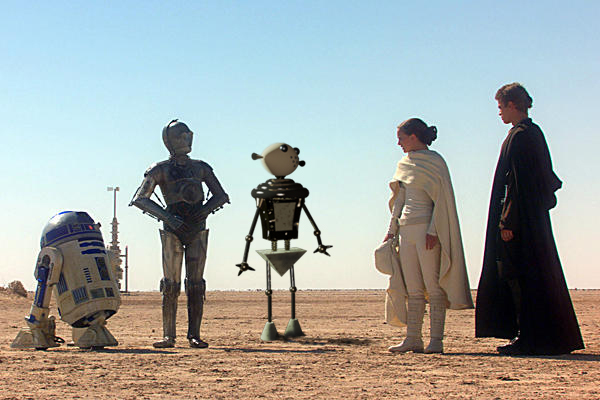 From these exercises I developed a fun Star Wars droid project. 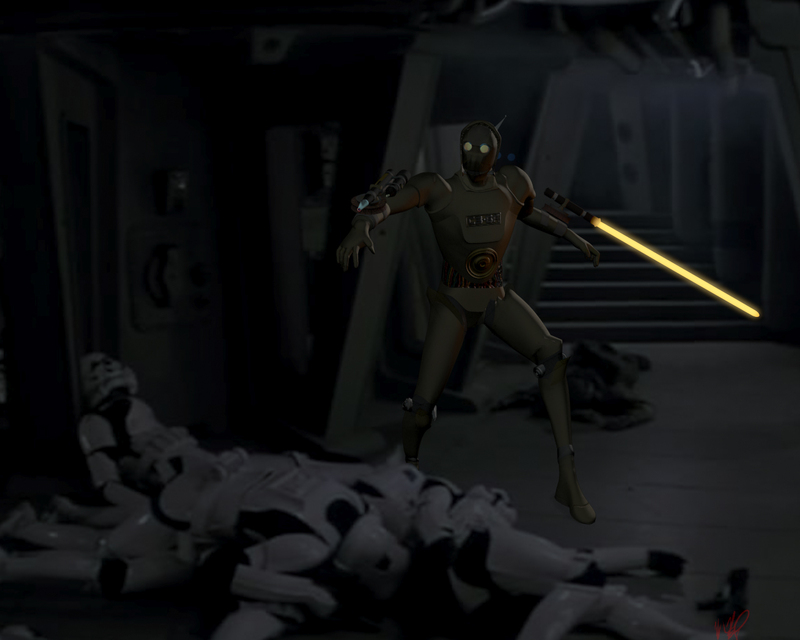 Students had to create their own droid design, texture it, light it, and composite into a Star Wars scene. 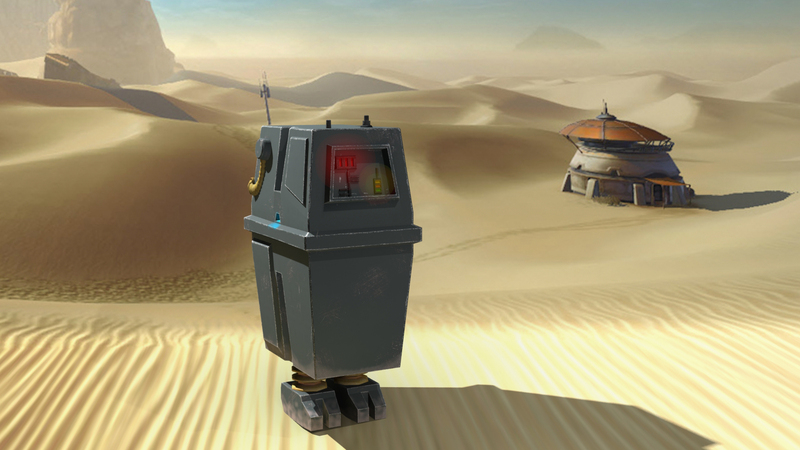 The droid itself could be as simple or complex as they liked. This took multiple lessons of lighting, unwrapping, glow effects, and texturing and combined them into one project.